To contain the formation pressure or pore pressurefor safe drilling. In this article we are going to focus on Mud density or Mud weight. Mud density is one of the most important drilling fluid properties.It is the weight of drilling fluid per unit volume and the units are Kg/m3 , gm/cm3,specific gravity and ppg(pounds per gallon) but in field generally ppg or gm/cm3 is used. Function of Drilling fluid density is to keep the borehole pressure higher higher than the Formation pressure.This keeps formation fluid from flowing into the wellbore and prevents formation fluid from causing a blow out. In field fluid density is measured with a mud balance. Note:- In field,mud weight is regularly measured. 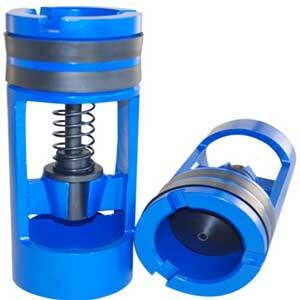 Mud weight into the well is measured by the pump man and mud weight out of the well is measured by shaker man while Mud engineer is responsible for lab test on mud and maintaining the mud properties.